Sandra Divilly of the Galway Hat pictured at the Galway races with one of the hats from her store which goes exclusively online in January. The shop first opened in 1989, where it traded from the top floor in the centre near Hickey’s fabric shop. The shop originally sold ladies and gents casual hats and caps. 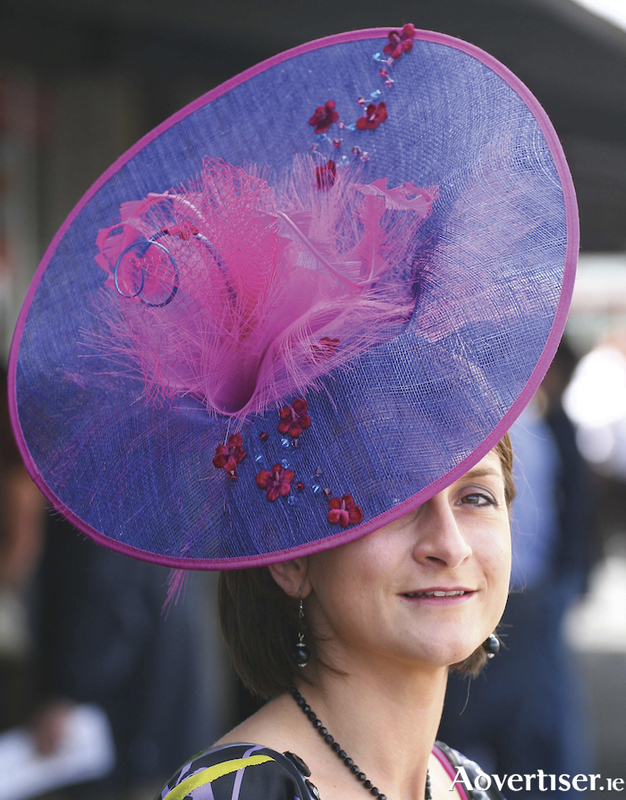 Special occasion wear was introduced and it became the first location in Galway were Hat Hire was available. When the Eyre Square Shopping Centre opened in 1991, the shop relocated to the lower floor in the centre where it currently trades. The current owner, Sandra Divilly, purchased the shop in May 2000. The product range was expanded to include other accessories; handbags, jewellery, wraps, umbrellas and gloves. It was the first shop in Galway to sell headpieces, a style that grew exponentially to replace the traditional wedding hat. The ‘Make to Order’ hat service was introduced in 2001. With the advances in e-commerce, hatshop.ie was launched in 2010. This positioned the business on a global platform serving international and ex-pat customers around the world. As customer shopping habits continue to change, with a preference for online shopping, the online business has grown annually. Having always enjoyed the atmosphere, the customers and the friendships made through the shop Sandra, now the mother of four children, has decided to focus on developing the online business which is a more flexible business model to fit in with a busy family life. The shop will be open every day between now and December 29 with the exception of Christmas Eve, Christmas Day and St. Stephen’s Day. Pop in to say goodbye and avail of some fantastic shop closing bargains. Hanley’s Menswear will be taking over the Men’s Hats Department in their store on Williamsgate Street. Sandra Divilly will initially be assisting Hanley’s with the buying as they establish the range and will ensure all customer’s favourite styles are stocked.